Wikis were designed to allow every user to edit its content, either anonymously or with a username. If you see something with the Endless Legend Wiki which you think could be improved, don't wait, improve it! All you have to do is click the "edit" tab at the top right of the page to begin editing. If you wish to make an account, please feel free, as it will help you become better integrated into the community here. Don't be afraid to edit. Part of the wiki system is a integrated version tracking system, so you don't have to be scared of of losing something that you already put in. If you make a mistake, you or someone else can fix it pretty easy, so take the initiative and make a change if you think it's useful. While editing, you can also use the "Show preview" button at the bottom to check how the page will look before you save it! If you're new, check a few different pages to see how we format certain pages like Accessories or Specific Weapons, so things stay consistent with the rest of the wiki. Don't worry if you just want to make a small change, though - go ahead and do it; someone can always update it later if need be to make it consistent. 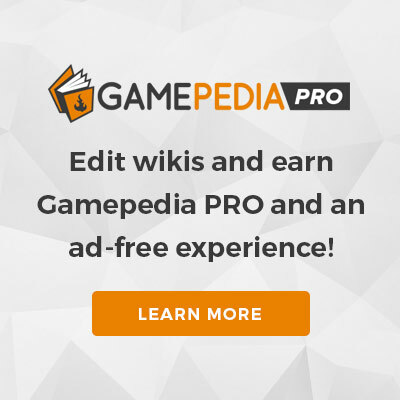 If you need a basic guide for editing pages, take a look at the Media Wiki Help Page.